The Mofo Chronicles: That's a no-no mofo! Happy Holidays!! 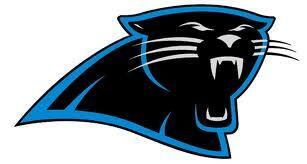 And can we also throw in a WAY TO GO CAROLINA PANTHERS on your SECOND win this season!! **moonwalks, spins, then dougies** now that I've gotten that out of the way.. Thanks to a friend, I got to go to the Panthers last home game.. and it was colder than a polar bears toenails but it was all good.. UNTIL.. now ya'll know me.. and you already got doggone know this game didn't go without some type of mess popping off. So because the tickets were free, we were all sitting in separate sections, so me and one of my friends are two sections over from the other two folks we came with..no biggie.. but we are in the nosebleed section..but hey..free is free right? Anyhoo as we began our climb up the stadium stairs..the mofo in front of me keeps stopping every few steps.. then I see folks that he obviously knows tell him to quit holding up people behind him.. so he turns to me..and says "I'm sorry, I just had to rest for a sec.." Of course, I don't have a problem cuz my knee is being real janky right at that moment, mad as hell that we just walked damn near 5 blocks or so to get to the stadium and up the ramp to the upper level and now up the stairs..I think my knee was calling me all kinds of names..so I was okay, but ready to SAT DOWN SOMEWHERE lol. So then he takes my hand (thank gawd I had gloves on cuz I can be real funny about touching mofos hands ..ya'll know some of ya'll be wiping snot and ish and don't wash ya hands when ya go pee and junk but I digress)..antyhoo..we get up the stairs quickly with him pulling me along.. and he says.."well since, my seats are right here, you and you're friend can just sit with me".. my knee answered for me so we agreed that we'd sit with him (stadium had TONS of empty seats by the way).. He seems normal.. for about 5 seconds.. was even nice enough to introduce me and my girl to his kids, his brother and his cousin. Next thing I know he says..
"do you have any extra gloves cuz I forgot mine." Me: no, sorry and somehow I doubt your hands would fit in a pair of female gloves sir. Him: (as he leans over) "well, how bout you let me put my hands on your kitty kat to keep em warm"
Me: "the hell?" cuz clearly I don't think I heard him correctly. Now all kinds of ish is running through my mind, but I see his kids sitting there and I'm not gonna curse and carry on in front of nobody's kids so I just tell him he's out of line, and I tell my friend that we need to get the hell up and move. So we are sitting there trying to figure out which section my friend is in before hiking back down all them stairs and up another 100.. this mofo decides to try more convo. Him: "you must have rich blood..you got alot of hair"
Him: (mumbling) "can I see your ti....." I thought he said TICKET..so I said ..why you need to see my ticket? Him: "No..I wanna see your tittays"..
Me: "sir..its cold, and I don't know you and I'm not gonna continue this convo with you its very disrespectful".. Him: "Well, my name is Jarrell." At this point.. I was like f it.. lets go down to the concession stand or something..just get me away from this mofo before i stab him with a nail file or my volkswagon key..or tap into my inner panther spirit and RAAAAWWWWWRRRRRR (that's my panther growl lol) turn into a black cat and claw his f'in eyeballs out..
Luckily we found our friend and was able to sit with her since there were tons of empty seats in her section and we were able to have fun.. Lesson Learned: Some mofo'n men have NO FREAKING MANNERS ATALL..
and because of the ish that comes out the side of their neck at times, I have to wonder WHAT kind of chicks find this bullshittah cute and allow it..cuz CLEARLY that is the reason they continue with this ish. smh.. sad thing is..his kids are probably gonna grow up thinking that's how you get a woman, hell its probably how he got their mammy.. nasty mofo. What the f**k! I do not understand why you didn't punch that mofo in the face! It's because people don't do anything cats like that will not stop that kind of f**kery. I'm amazed how people are sometimes, I mean really. DEAD DEAD DEAD!!! you could have elbowed him in the side before you left! i need to teach you some violence! So after he asked for the gloves, you stayed why? I am not real "dating" savvy but I do know he hasn't had many. And if you followed those kids back to they Momma house, you would find some broad who fell for that...Poor her! OMG!!!! What a sick, sick pervert!!! No respect at all!!! At least you had respect for the kids, but I know if those kids had not been there, "old boy" would have gotten cursed out big time!! OMG!!!! This is the craziest thing I have ever heard. I know it is so wrong but I can't stop laughing. You are a great story teller. You need to write a book with all of your adventures.